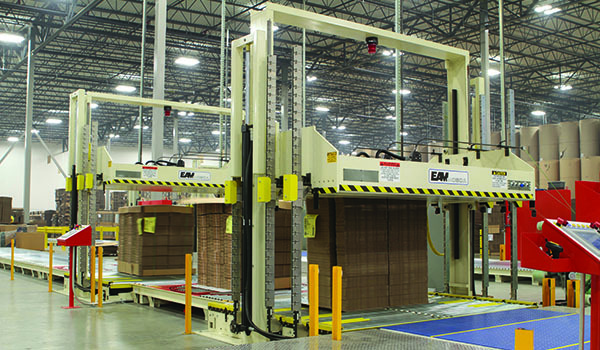 When sales of EAM-Mosca’s strapping solutions started to soar, the company updated its shipping software to streamline operations and better serve demanding customers. EAM-Mosca was getting buried in orders, until it strapped down a software solution to automate each step of the shipping process. Finding the right software solution to help manage increased sales was a priority for custom strapping systems manufacturer and supplier EAM-Mosca. With help from Varsity Logistics, EAM-Mosca was able to streamline shipping by consolidating all transactions under a single software dashboard. Located in Hazle Township, Pa., EAM-Mosca manufactures and supplies machines and plastic used to auto-wrap packages in straps to ensure they arrive to their destination safely. Established in 1982, EAM-Mosca has sold more than 20,000 strapping solutions throughout North, Central, and South America. The company's solutions are largely used in the wood, meat, poultry, seafood, and graphics arts industries, and are among the market leaders in the corrugated, commercial printing, and mailing industries. A few years ago, EAM-Mosca found itself on a collision course: a steady uptick in orders was headed straight for its outdated shipping systems. Because the company's success was substantial, it had no intention of allowing inefficient logistics to tarnish its reputation.